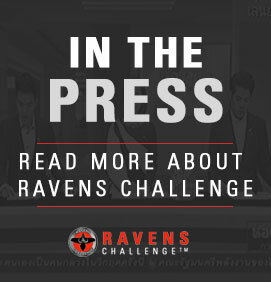 Military, Police, Technology, and Academia are invited to attend Ravens Challenge®. Please register to attend or for more information, please email info@ravenschallenge.org. All fields below are used to maintain your account on the Ravens Challenge website. This email address is solely used to access/manage your account on Ravens Challenge website. This will be used to login to the Ravens Challenge website and should NOT reference any personal information or your email address. The fields below will be used to register your company's information for events. Please indicate if you are a guest of one of the Exhibitor/Sponsor or not. Add another photo ID for each person attending by click on the plus (+) to the right. * Marked fields are required to submit this form. Ravens Challenge® provides a Multi-National Dynamic EOD, CIED, CWMD and Counter Terrorism Training, Collaboration, and Information Exchange Among Military, Police, Academia, and Private Agencies. © 2016 Raven Group International, LLC.